File photo from Business World Online. MANILA—Last year, Thailand went on uncontrolled as they dispatched the Philippines in dominant fashion. This year wasn’t different either. Veteran Filipino netters Francis Casey Alcantara, Johnny Arcilla, and Jeson Patrombon did all the best that they could to hang on but the much stronger and higher ranked Thailand squad fought against all odds at the shell-clay court of the Philippine Columbian Association to break the hearts of the home team for the second straight year, Sunday. Alcantara and erstwhile Philippines’ number one Arcilla pushed twin brothers Sanchai and Sonchat Ratiwana to the limit in the opening match of the second day, only to fall short in three sets, before Patrombon suffered a seemingly the same fate at the expense of Wishaya Trongcharoenchaikul at the first reverse singles to allow the visiting team a second straight ticket to the Asia/Oceania Zone Group II final on September. “We had our chances but we couldn't convert it lang. The twins played solid the whole match so credits to them for the win,” said Alcantara after he and Arcilla yielded a close 6-4, 6(3)-7(7), 1-6 defeat against the Ratiwana pair. “We were sad of course but we all played our best. Today is just not our day,” he added. Alcantara and Arcilla looked dominant from the get go after converting their lone break point in the first salvo while also firing 30 winners already before the twins came back in the second set tie break by demolishing the Filipino pair at the service line to finish the match with six service aces compared to the former’s one service ace. The Ratiwana brothers broke thrice in the following set to finish the one hour and 51 minute-doubles rubber with 91 winners, edging out Alcantara and Arcilla’s 81 total points won. Trongcharoenchaikul, meanwhile, seemed unfazed by Patrombon’s efforts in the second set after surviving the Filipino in the deciding frame, maximizing the latter’s three double faults in the third set alone to clinch the victory for Thailand, 6-4, 1-6, 5-7. 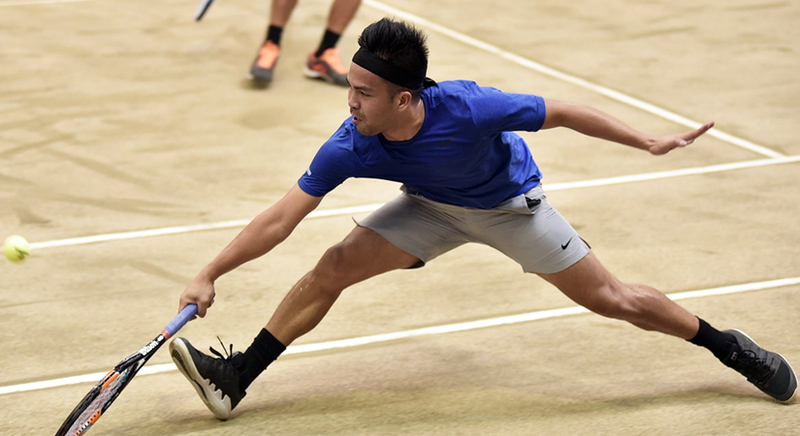 Patrombon, who was nominated as the country’s number one player for this tie, failed to sustain the momentum that he had in the opening day when he swept Jivat Nasarisomboon in two straight sets after committing seven total double faults despite winning two of his three break points and eclipsing Trongcharoenchaikul’s winners production, 96-93. Patrombon and Troncharoenchaikul’s reverse singles match clocked the longest rubber in the second day after reaching to as long as two hours and 19 minutes before Palaphoom Kovapitukted continued the Thais’ dominant campaign by making quick work of John Bryan Otico in one hour and 11 minutes, 6-4, 6-3. With the win, the ranked-49 Philippines is now tied with world number 43 Thailand in their overall head-to-head meetings in the annual tournament, 4-4, as the latter also secured their second straight victory over the former, following a 5-0 victory at the second round as well last year. Thailand will next face Lebanon, which defeated Hong Kong in their own Group II semifinal, 3-1, on September 15-16 for the last match of this year’s Davis Cup.